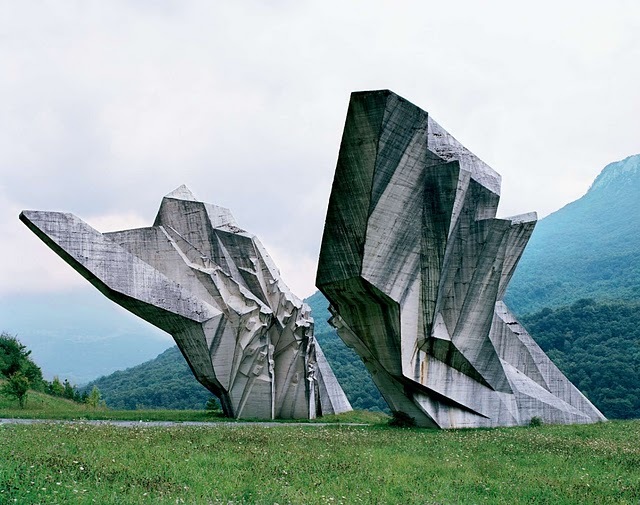 Tito's iron hand on the former Yugoslavia left behind more than the usual brutal and bloody Communist legacy. Crack Two has a gorgeous posting of 25 or so of these rather futuristic public art works done in the 1960s and 1970s. Check them all out here. Update: The key site to learn more about these brutal massive sculptures is this one.